In 2001, engineer and vineyard owner Tony Flecknoe-Brown devised, developed and later patented the application of oxygen permeable polymers for use in the winemaking industry using ultra-clean, food-grade polyethylene to construct specially-designed, oxygen permeable maturation vessels. Moving from initial trials to rapid commercial adoption, Flexcube was born. The mission was to replicate and improve on traditional, expensive oak barrels. 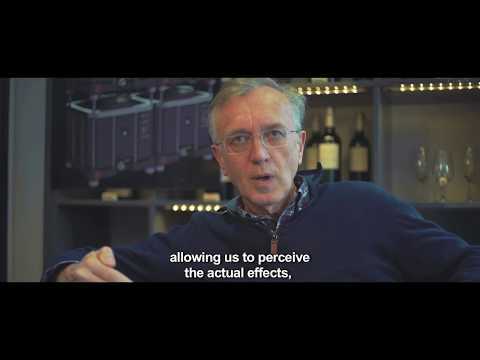 Since then, Flexcube has gained wide acceptance from winemakers, even in traditional markets. In 2010, Flexcube partnered with Oenowood International in Cognac, acclaimed French Oak Masters, foresters and coopers, to create two ranges of genuine barrel quality oak: BarriQ and LBarriQ. - David Greenwood, Sales Director. At Flexcube, the new cooperage, we create next generation barrels and traditional oak barrels. We are masters of oak, experts in wine maturation and leaders in the application of controlled passive oxygenation polymer cubes in winemaking. Design, quality and knowledge sit at the heart of our company. We work with many of the most prestigious wineries around the world and have created a global network of technical consultants and support managers that work closely with winemakers. Our mission is to open new possibilities for winemakers to make exquisite wine! The Flexcube barrel is designed to produce exactly the same wine quality of the most iconic traditional barrels with the consistency of Next Generation Barrels. To achieve this precision of wine quality, we blend the latests innovation in winemaking with our know-how and separate the elements of oxygen and oak to increase control and consistency. Permeable polymer Flexcubes provide the oxygen element necessary in the maturation of wine through constant and linear passive oxygenation. The high quality of our barrel oak, BarriQ provides the flavours, tannins, aromas and integration of top end barrels. At Flexcube, we know oxygen can be both beneficial and detrimental to our wine. The right amount of oxygen and your wine will showcase its beauty perfectly. Too much or too little and we all know what happens. Did you know the little-known fact that the Oxygen Transmission Rate (OTR) of traditional barrels can vary by up to 3 times (30mg/L/year) from barrel to barrel? This is a major cause of the variations we see when selecting traditional barrel.Traditional barrels are highly variable in the amount of oxygen they supply. Every winemaker has learned to deal with this random variation, all the while believing nothing could be done about it. Well, at Flexcube, we know it doesn’t have to be like that! Dr Ignacio Nevares and Assoc. Prof. María del Alamo-Sanza, at the University of Valladolid in Spain, have recently confirmed that a new traditional barrel oxygen release is 11-12 mg/L/year. Quite different from the conventional wisdom of 20-30 mg/L/year, right? Ignacio and Maria also work very closely with Flexcube’s engineers. As a result, we have designed our Flexcube shell to provide precisely 9.1mg/L/year. Coupled perfectly with the 2.2 mg/L/year that BarriQ Barrel Oak releases, this precisely matches the traditional barrel. And more than just the same, the oxygen permeability of Flexcube is precisely engineered and does not change from year to year. More accurate, more consistent. While BarriQ barrel oak is exclusively sourced from the same state forests, the same trees, is hand split and seasoned in the exact same way as the oak used to make our traditional barrels, BarriQ barrel oak is convection toasted rather than fire toasted. By nature, fire toasting is inconsistent as it varies within and along the same piece of oak depending on the surface impact of the heat (toasting is the outcome oftime and temperature, vary these elements and the resulting toast varies as well). Variability and inconsistency, of course, results in complexity, a valuable attribute - but it is hard to replicate barrel to barrel. Convection toasting, on the other hand, is controlled and measured and produces a uniformity of toast throughout the same piece of oak. The same level of toasting can be replicated infinite times, ensuring consistency from batch to batch. Uniformity doesn’t give complexity. However, with our expertise, we combine blends of different toasts in different proportions to produce that sought after complexity but controlled and 100% replicable. David has over 15 years experience in senior management roles from ASX listed small start ups to Top 100 Australian conglomerates. He is passionate about building strong teams empowering them to deliver superior products. Previously Commercial Director of Seguin Moreau cooperage, Alban has vast experience in the European and North American timber industries. Alban jointly owns and manages Oenowood International, Flexcube’s European oak partner. David has 25 years experience within the wine industry, working with Australian multi-nationals, large family wine companies and boutique family wineries. He has held national sale management roles at Fosters Group, Brown Brothers and Hollick Wines. Arnold is a passionate wine industry advocate with a wealth of experience gained across the wine market in Australia and South Africa. He has a deep understanding of the connection between the vineyard, the winery and the consumer. After graduating with a Degree in Viticulture and Oenology in New Zealand, Hans has evolved in the Wine Industry for more than a decade working for Australian to Chinese wineries. In 2016, he won the best Chinese Red Wine Trophy in China Wines & Spirits Awards with his own wine matured with Flexcubes and BarriQ. Notable as the man who produced the \"Coffee Pinotage\" style for the first time in South Africa, Bertus studied at the University of Stellenbosch before joining Diemersfontein and then KWV as Senior Winemaker. Bertus also taught wine science at Elsenburg College for several years. 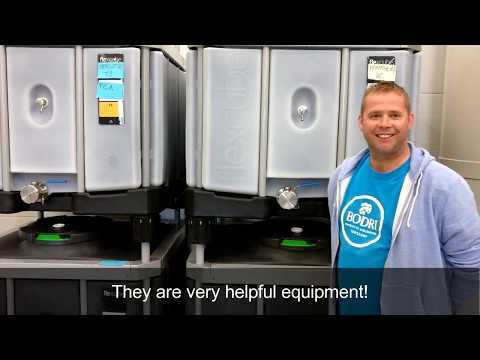 Cameron has worked in the wine industry in a variety of positions from Salesman to Winemaker. His passion for crafting wine stems from a deep understanding of the needs of what winemakers want to create from their vineyards, process, and finishing of wines for a sense of place and identity unique to each winemaker. 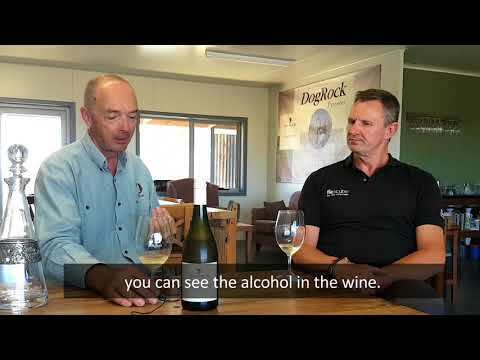 Let\'s have a glass of wine with Allen Hart from DogRock, talented australian winemaker, who just won a trophy at the Victorian Wine Show for the best alternative red style with his 2016 Grenache. Bodri Pincészet​ won two gold medals!! Big Congratulations to Peter from Bodri Pincészet for winning two Gold Medals for his exquisite Merlot and Kekfrancos wine using Flexcube\'s next generation barrels! This a very Classic Bordeaux or Burgundy barrel combination of 3⁄4 toasted shell wood with a majority of Medium toast, to provide a lot of complexity and sweetness (vanilla, fresh bread, toast and chocolate), some Medium Plus toast for spice, roast and moka and a touch of High toast for empyreumatic notes (black peper, coffee, toffee and hot smoke), completed with 1⁄4 of untoasted headpieces that provide minerality, structure, and freshness. A tremendous barrel-blend for most ripe, sound, and concentrated wines. Another very Classic Bordeaux or Burgundy barrel barrel-blend. The 3⁄4 of shell wood is toasted to a slightly lower intensity with more perceived sweetness and spice but less empyreumatic notes (black peper, coffee, toffee and hot smoke). The 1⁄4 of headpieces are toasted to a Medium Plus intensity to reduce the impact of the lactones and add a touch of extra roast. This results in a barrel-blend that is less structuring, with less coconut, but with a sweetening effect that is possibly better suited where the finesse of the fruit needs to be preserved and enhanced. Our American quercus alba comes from the Midwest and the Appalachians. Our white oak barrel-blend combines a reasonable dose of lactones from untoasted wood pieces, with the sweet and spicy aromatics of a Medium and Medium Plus toast with a touch of smokiness to refresh it all. With its low tannic profile, this barrel-blend is ideal to bring an aromatic complement to an already well-structured wine. Our russian oak from the Caucasus mountain range has moderate aromatic properties but a very distinct sharp and fresh tannic profile. It is a perfect match with coolâclimate mineral or zesty whites to preserve their tension and flintâstone notes. It is also a very interesting barrel-blend for hot climate fruit, with surprisinglyâ¨refreshing properties on overripe or jamy reds. A symbol of the FrancoâAmerican friendship, our Lafayette barrel-blend literally offers the best of both Worlds: a combination of American white oak aromatic punch, and French oak structure and elegant sophistication. Same as above but a bit less structuring, with also less coconut, and a slightly higher vanilla (sweetening effect), spice, warm smoke, and roasted almonds and coffee characters. One of our most exquisite range is the single forest origin BarriQ oak from the renowned forests of Tronçais. The highly prized secular oak has very tight grain. These exclusive origins offer distinctivly elegant tanins and are perfectly suited for complex reds and sweet and mineral wines. This barrel-blend is used worldwide to produce icon wines. With Tronçais, one of our most exquisite range is the single forest origin BarriQ oak from the renowned forests of Jupilles. The highly prized secular oak has very tight grain. These exclusive origins offer distinctivly elegant tanins and are perfectly suited for complex reds and sweet and mineral wines. This barrel-blend is used worldwide to produce icon wines. From the same noble origins as BarriQ, LBarriQ (literally “little BarriQ”) is cut thinner to provide greater surface area for faster extraction. It conveys elegant aromatics and flavours, softening and structured tannins. Bordeaux barrel-blend: Designed to replicate the oakwood masses of each toast level in a traditional Bordeaux 225L barrel with a Medium/Medium Plus toast shell and a hint of untoasted heads, the perfect combination for Cabernet Sauvignon, Cabernet Franc and Merlot. Burgundy barrel-blend: Designed to replicate the oakwood masses of each toast level in a traditional Burgundy 228L barrel with a Medium Long toast shell and untoasted heads, ideal for Pinot Noir and Chardonnay. Northern Rhone barrel-blend: Designed to replicate the oakwood masses of each toast level in a traditional barrique, with a recipe especially suited to preserve and support the freshness of cooler style Rhone varietals. Southern Rhone barrel-blend: Designed to replicate the oakwood masses of each toast level in a traditional barrique, with a recipe speciallycraed to complement powerful and wellâstructured “warm” southern Rhone varietals. Flexcube is commited to have a responsible use of oak. For hundreds of years, traditional barrels have been conceived and used in the same way, as a maturation container with 3 single purposes; hold liquid, allow ingress of oxygen and pass on tannins and aromas to the wine. All three purposes being achieved by using a single resource, centuries old oak trees. When maturing in traditional barrels, your precious wine is in contact with only 3 to 5 millimeters of oak which is less than 20% of the total barrel oak amount. The 80% remaining oak is simply never used for its oenological properties and with the only aim to serve as a good-looking oxygen permeable container. While this is how it has traditionally worked, at Flexcube, we believe we can do better and manage our precious secular oak in a more efficient and sustainable manner. We believe using prized oak trees as a simple container must come to an end and only use what is needed for its oenological gift. We replaced the oak container by a highly innovative oxygen permeable polymer shell (which is more consistent than any traditional barrel in terms of oxygenation) and focused the use of oak for what it is required: its oenological properties. We designed BarriQ barrel oak to be immersed in the wine and not the other way around. We changed the shape of the barrel. The oak is still the same, genuine barrel oak, simply not bent and hooped. By introducing this evolution in shape, the contact surface has increased and the wine now embraces every single side of the oak stave, including the ends. The wine can now flow through the tubes along the full length of the stave and be perfectly nourished by the aromas of the oak, resulting in an optimal and responsible oak maturation. The Next Generation Barrel improves traditionnal barrels oenological efficiency of oak by 7 times! Extended maceration of red varieties in cubes. What is the main advantage of using cube?